Click the button below to see our guest suites and availability. Each of our well appointed rooms feature en-suite bathrooms, free wifi, personal care items, air conditioning, clock radio, robes, hairdryer, toiletries, bottled or filtered water and an ironing board. Featuring a king-sized bed, private en-suite bath with jacuzzi tub, fireplace and fridge. Featuring a queen-sized bed and private en-suite bath. Featuring a queen-sized bed and private en-suite bath overlooking the pool. 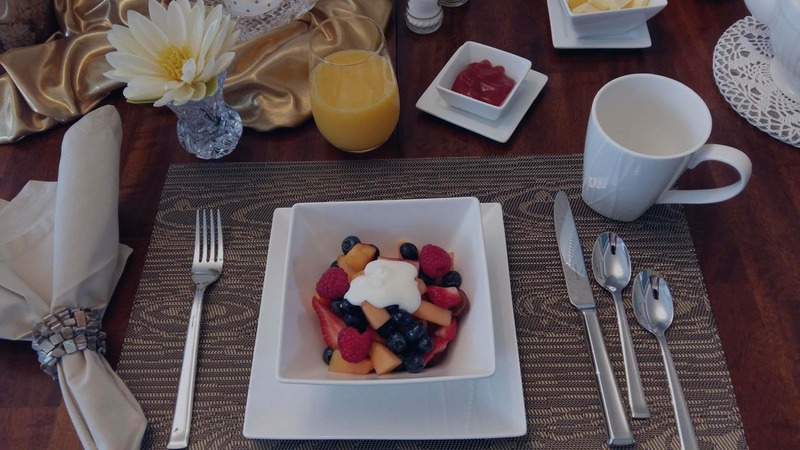 A cozy B & B located in the heart of Orangeville (Mono), on a quiet street within a short distance to ski resorts, shops and restaurants. All guest rooms have private en-suite baths and free wireless internet access. We provide a full homemade breakfast! Molly's Retreat B & B can provide additional services to make your stay more enjoyable. We are a great location for family groups attending a local wedding or event to share some quality time together before and after their event. We would also be a great place for a bride to dress with her bridesmaids. Or the groom and his groomsmen to reflect before the big event! We serve a selection of hot and cold entrees such as pancakes, bacon, eggs, hash browns, salad, smoothies, muffins, scones, yogurt and homemade granola. 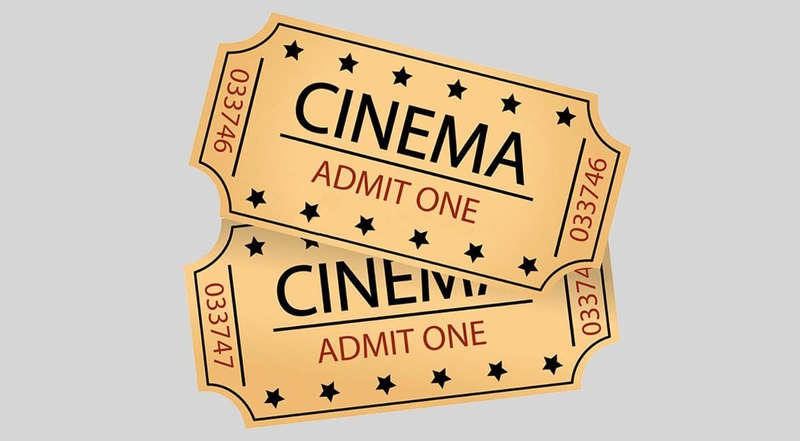 We provide concierge services such as theatre/tickets and Spa booking assistance. We can recommend restaurants and interesting places to go in and around the area. Meghan and Prince Harry may have had a royal wedding recently but their treatment could not have been better than that just accorded to Gail, Bob, Cathy and Paul upon their welcome at Molly's Retreat B and B May 26th 2018, nor the accommodations that evening and the very royal breakfast the following morning, by our hosts Eileen and Sam. Well done and thank you. Delightful Retreat for our 25th anniversary! Beautifully decorated and the service of Eileen and Sam was excellent. They certainly went above and beyond! Once I saw the Facebook page of Molly's Suite, I knew it would be perfect and it was! My husband and I stayed at Molly's Retreat the last weekend of April. I was attending an outside event in the cold and rain and after a delicious breakfast served at 6:30am, Eileen sent me on my way with a thermos of warm tea! Her and Sam were very welcoming with big hugs and I truly felt I was visiting a family member. The whole weekend we felt like royalty! Thank you so much Eileen and Sam for making our weekend extra special. What a GEM this B & B is! Our Hosts, Eileen & Sam, both made our visit so enjoyable!! With such challenging weather conditions this beautiful B & B was a warm, cozy and relaxing haven for us to snuggle up in! We felt totally welcomed by our very kind and attentive hosts! Sam - thank you for continually digging out our cars after the huge snowstorm, and Eileen, your breakfast and treats were totally delicious! I highly recommend Molly's B & B to anyone staying in the Orangeville area. The hosts are wonderful and the rooms are beautiful and elegant! Sending out my appreciation and thanks to Eileen & Sam!! I was one of a group of five women friends who spent two nights in a little retreat at this beautiful B & B with the attentive and loving hospitality of Eileen and Sam. Their home is beautiful and they were very gracious and oh so welcoming and went way above the call of duty to see that we felt at home. The food was superb and the service was definitely 5 star. I would happily return and recommend Molly’s to everyone. You won’t be disappointed. This is the very best B & B I've ever experienced. Not only is the house beautiful, Eileen and Sam are caring and attentive hosts. I was provided with every comfort. Eileen is a wonderful cook, food is presented with style and grace. Our hosts provided our group with space and ambiance so we could enjoy our circle and rituals. Their attention to our needs was exquisite. Their anticipation of our needs for food, space and beautiful surroundings was so skillfully carried out. Thank you so much Eileen & Sam for sharing yourselves and your home with us. Thank you! Thank you! 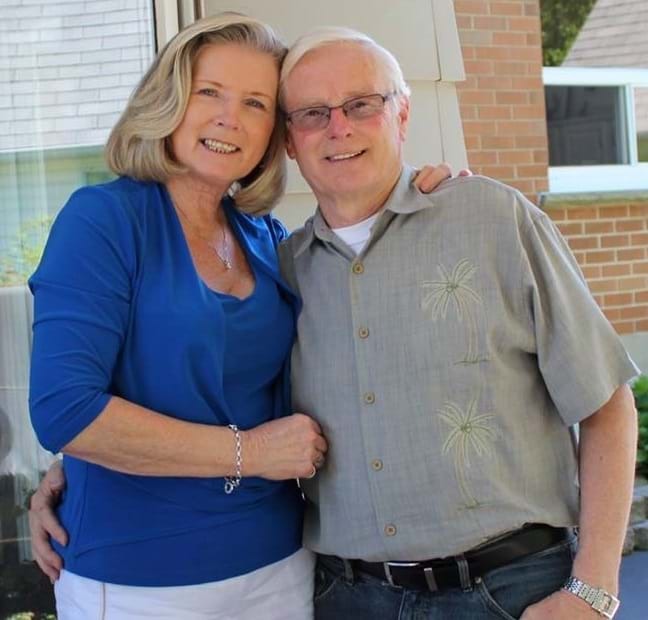 Eileen and Sam - for sharing your beautiful home with us - you made us feel like we were at home - your kindness and generosity was and is so appreciated - and I will share your B & B to others. May the Light, Love and Harmony continue to be with you both and fill up your home for your guests! Namaste! Hugs! & Gratitude! My husband and I decided to try a B & B. Our first experience blew all of our expectations away. Eileen greeted us like family coming home. We also have very specific dietary needs that weren't any problem at all for Eileen! Great hosts, delicious food, beautiful accommodations, centrally located yet quiet. We'll be returning often! My daughter and I stayed at Molly's B B in November and were extremely impressed with every aspect of our stay. Our hosts Eileen and Sam were extremely welcoming, and it felt like we were coming to visit friends based on the warm reception and wonderful conversation. The house is beautifully appointed and well cared for. The breakfast in the morning was wonderful, freshly prepared and graciously served. The evening before, we had gone out for dinner and Eileen suggested we come back for a home-made scone and tea after our meal, which we did. I highly recommend staying here and would definitely return! Thanks for helping to make a Mom and Daughter get away so lovely!! We spent a lovely weekend recently at Molly's Retreat, graciously hosted by Eileen and Sam. Our room was Molly's Suite which is grand and spacious and very well-appointed as are all of the other rooms. Our breakfast was superb and Eileen made it clear that any food accommodations could be dealt with (not necessary for us, but certainly good to know). Without hesitation, we can highly endorse Molly's Retreat as an exceptional place to stay. What a way to start the New Year! We had Girls' Night Out at Molly's B & B where we were treated like royalty. The wine was perfect and the dinner, prepared by Eileen, was amazing. Eileen and Sam really know how to make people feel welcome in their wonderful home. Can hardly wait to do another Girls' Night Out at Molly's Retreat B & B!! One of the highlights of 2017 was our stay at Molly's BB. 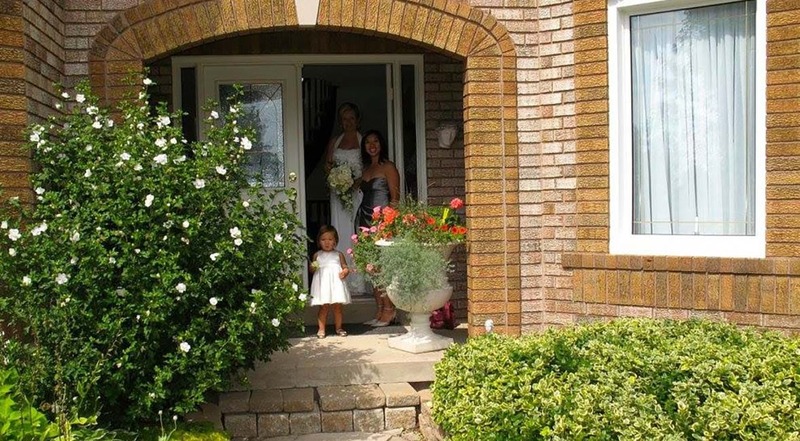 We were visiting the Orangeville area for a family wedding in September and were so pleased to find that some other family members from BC had also booked a room at Molly's. This beautifully appointed home, along with the warmth of our hosts, Sam & Eileen, made for the perfect place of reunion with our family during our days in town. 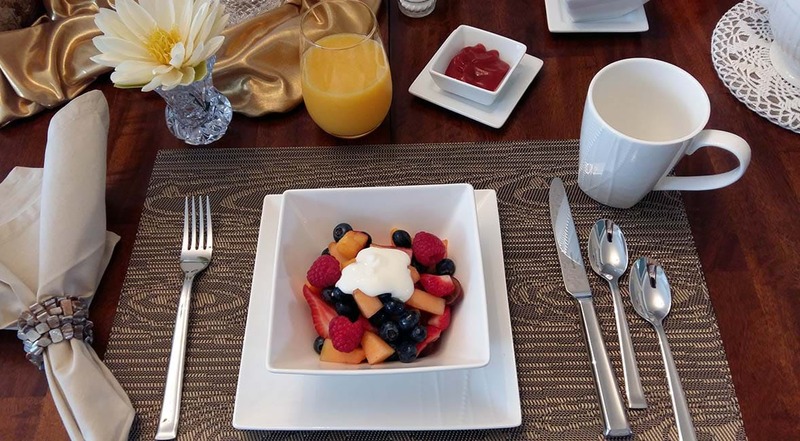 Our breakfasts were prepared with utmost care & culinary skill, but it was always obvious that our hosts served us out of the joy that it brings them to meet new people & share their gift of hospitality! What a winning combination! What a wonderful experience with Eileen and Sam who are just such a wonderful couple. This became a family experience over the 9 days we stayed at this B and B. Simply top notch in their care for the customer with everything from the breakfast to late night treats to the conversations to the use of the outside deck to watching the Blue Jays games in the evening. Truly a wonderful vacation made possible by the owners of this B and B. Highly recommended and hope to return some day. A cozy, peaceful, casual, romantic, fresh and clean B & B ideally situated in the heart of 7 major wedding venues! Wonderful local restaurants to appease all palettes and only minutes from the Orangeville Theatre, Ski Resorts, Spas and other local attractions. Copyright © 2018 Molly's Retreat B & B. All rights reserved.